This contemporary restaurant and bar interior radiates warmth and sophistication with the addition of °eluma DecoPanel LED illuminated panels. 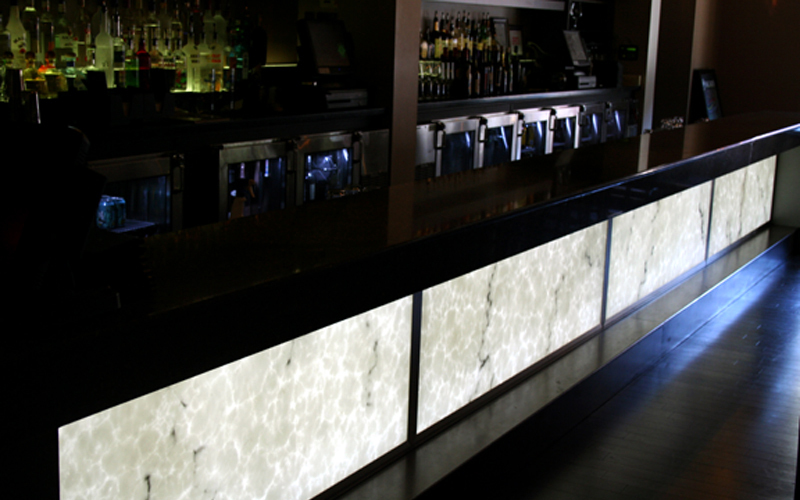 The DecoPanels are made with satin glass and RGB LEDs for complete color customization to enhance any mood or occasion. Image courtesy of Hilton Garden Inn. 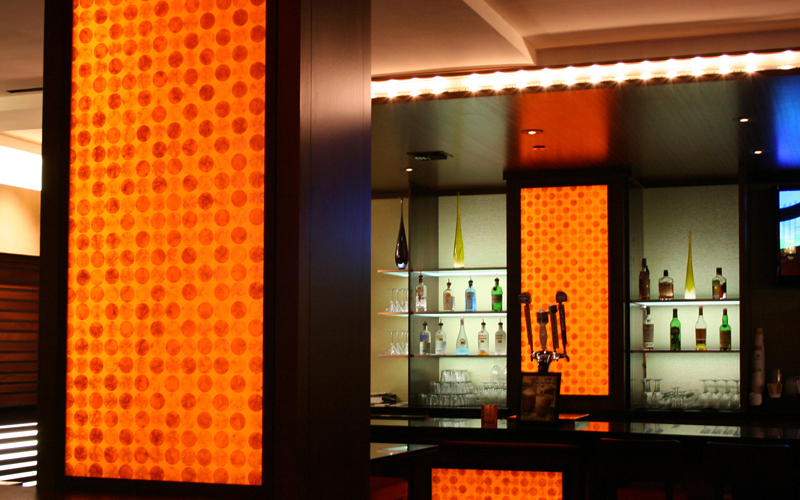 Element Designs' custom etched mirror panels create a glamorous feature wall in this hotel lobby area. Image courtesy of W Hotel Beverly Hills. °eluma DecoPanels add drama to this traditional restaurant design. Surrounded by dark woods and low lighting, the illuminated LED panel with custom 3Form insert adds sophistication while utilizing modern LED technology. 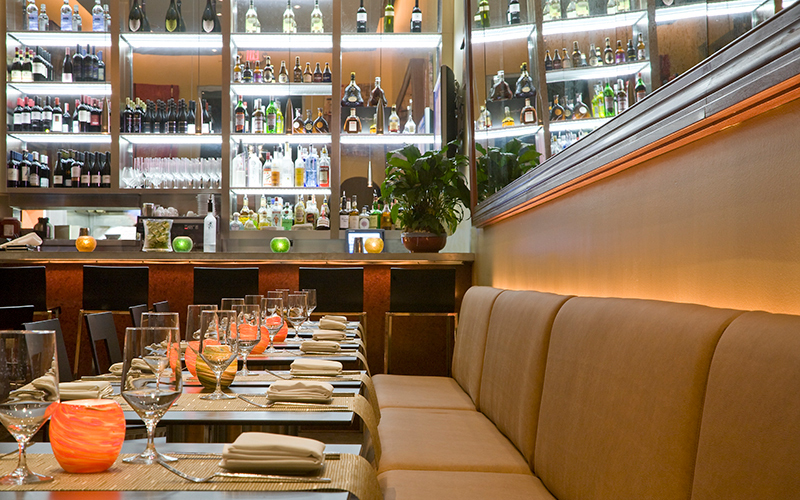 °eluma LED shelving creates a dramatic highlight in this restaurant design. The °eluma LED illuminated shelving utilizes aluminum frames combined with etched 1/4" glass for strength and durability. The shelf surface remains at room temperature making them safe for perishable goods. Image courtesy of Brosia. 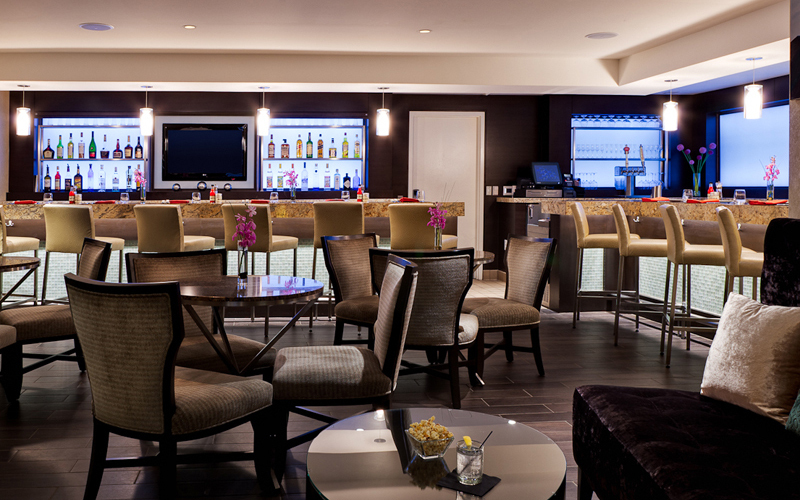 The state-of-the-art patented technology of this °eluma DecoPanel in oil rubbed bronze finish with a custom resin insert adds to the ambiance of this hotel entry and bar area. The eluma shelving in EL001 profile with 1/4" etched glass inserts and warm LED lighting dramatically highlight displayed items. Image courtesy of Rennaisance Hotel Southpark.